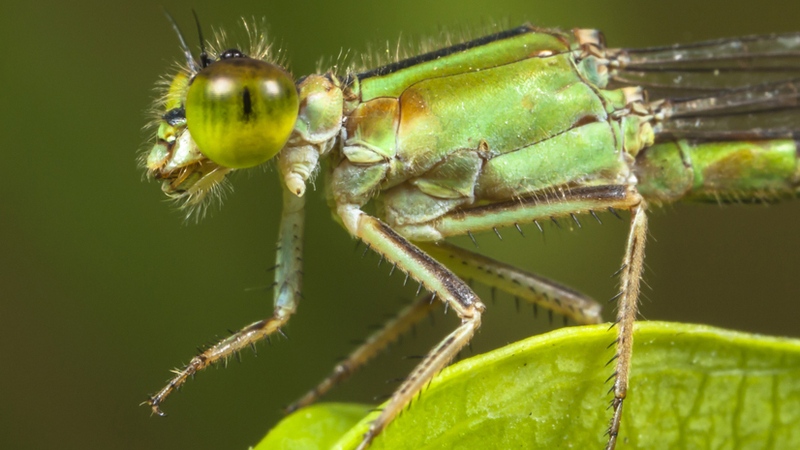 From egg to nymph to adult: an introduction to the life cycle of the damselfly. Damselflies spend the first part of their lives underwater. Damselflies change from aquatic nymphs into winged adults by repeatedly shedding their skin. Damselflies live short lives, so adults must find a mate as quickly as possible. Female damselflies lay their eggs underwater, hidden inside plant stems. As day breaks over the French countryside, a damselfly prepares to spread its wings for the very first time. Before today, this insect had spent its whole life underwater, repeatedly shedding its skin and gradually changing from an aquatic nymph into a winged adult.